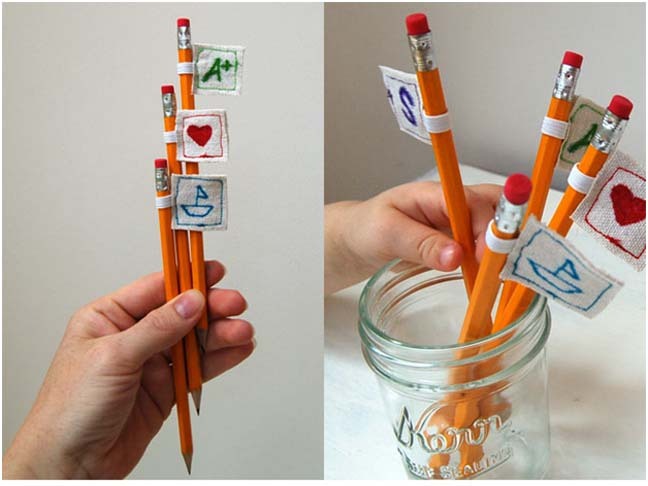 Get your kids excited about writing and going back to school by making their own simple, cool pencil toppers. 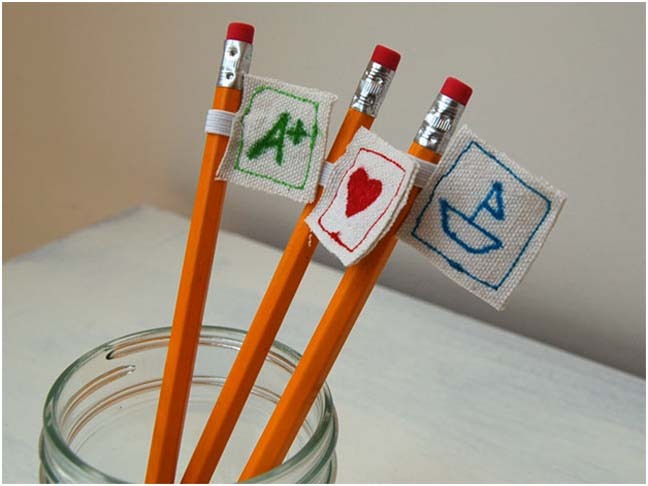 One pencil topper will require two 1”x 1” squares of scrap canvas and 1” long piece of elastic. Using a marker let your kid write their initials or draw their favorite shapes on one side of each piece of canvas. Fold the elastic in half and insert it between the 2 pieces of canvas. The 2 pieces of canvas should be facing right side out. 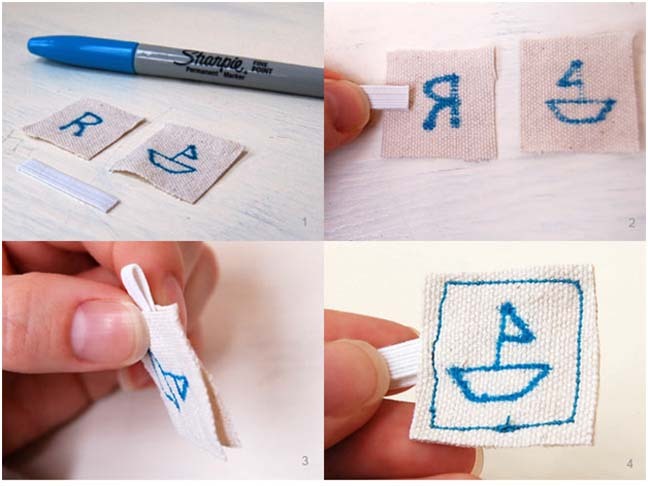 Pin the elastic in place and sew with coordinating thread around all 4 sides of the canvas. My son thinks these pencil toppers are pretty cool. You can even stack 2 or 3 onto one pencil!